Star Wars Bounty Hunter draws players into Jango Fett's sinister and seedy world, where thieves, assassins - and worse - thrive. 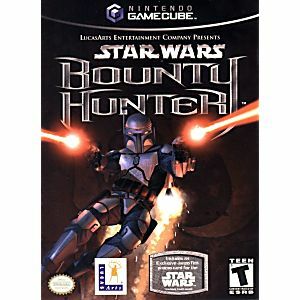 Inspired by events between Episode I and Episode II, Star Wars: Bounty Hunter presents an original, compelling, third-person action experience that establishes Jango Fett's place in the Star Wars galaxy and his connection to the notorious Clone Army. This hunt will lead you to the darkest corners of the Star Wars universe where no one else has dared to go, but you are the fearless, ruthless, and relentless Jango Fett. For the galaxy's most wanted, there is no place to hide. One of the best Star Wars games. For true Mandalorian fans. 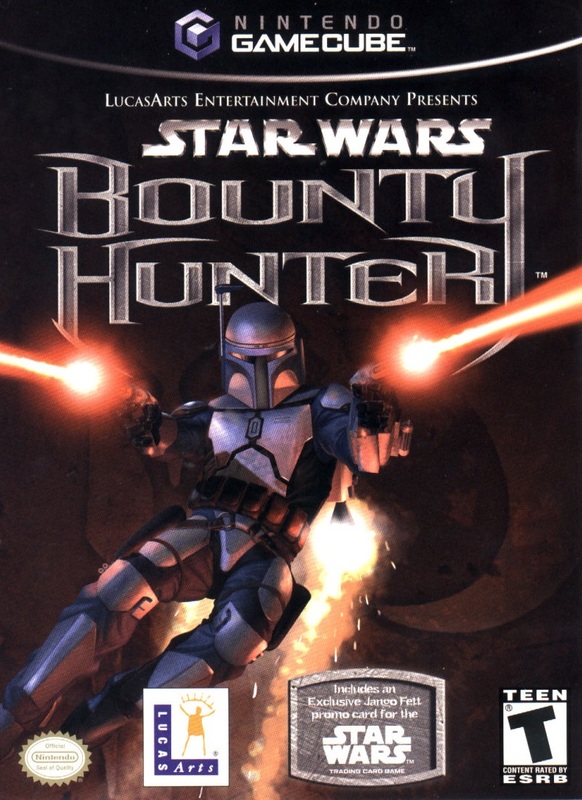 Star Wars Bounty Hunter is hands down one of the greatest Star Wars games developed to date. This game is all about Jango Fett and truly serves justice to the Star Wars universe and Fett's origins. The game takes place right before the Clone Wars as you take the reigns of Jango and his jetpack on a mission to hunt down Sith jedi Komari Vosa and the dark cult the Bando Gora. Gathering an arsenal of weapons and upgrades as the game progresses (from missiles, a flamethrower, sniper rifles and more) you travel across 18 levels on 6 different planets. A couple complaints: a pretty wonky camera with only the x-axis inversable and no aiming camera control options, if you're not used to you're controls being inversed, like me, this will take a couple levels to get used to. Switching weapons has to be done using the d-pad and can take precious seconds out of combat resulting in large amounts of lost health especially if surrounded by enemies (which happens a lot) and a rather steep difficulty curve occurring around the third chapter. Other than that, the story, voice-acting, returning voice actors from the movies, intense combat and the fact that you're mother effing Jango Fett will be enough to keep you going. A must own for any Star Wars fan. 4 stars for the rather frustrating camera controls unfortunately. Great game, came really fast and in great condition thanks Lukie Games!! A very very good Star Wars game that stands tall amongst all the other classic Star Wars games. Although this isnt part of any series and has no sequels or prequels (that I've heard of), it is a tremendous game. The one flaw I'd have to point out is that you find yourself tapping A alot to shoot a massive amount of enemies. It gets tiring doing that over and over but it also gets strangely addicting. Came in perfect condition and worked the first time and every time.